2.43 meters wide self propelled modular transporters. Platform width is narrow enough for standard container transport. High carrying capacity per unit area. 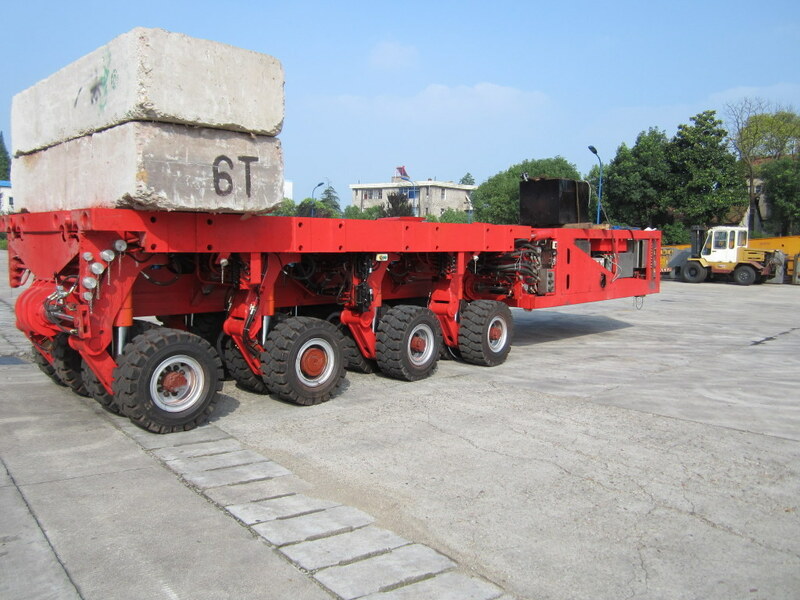 Suitable for concentrated transport heavy load cargoes. Platform vehicle carrying capacity up to: 10.8t/m^2. 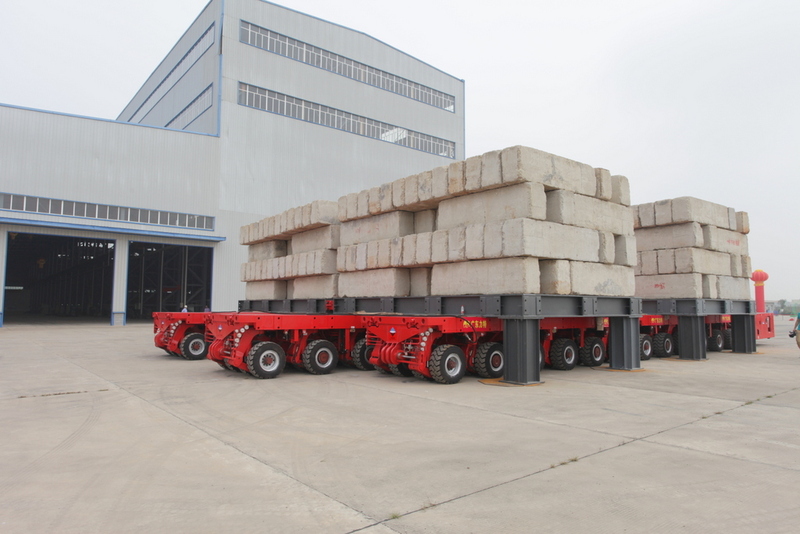 Axle carrying capacity is 40 tons per axle line. Electronically controlled multi-mode independent steering system(suspension) able to side move like crab. With Daimler Chrysler engine(MTU brand). 4 tires per axle line. Could be connected and work with self propelled modular trailer of Scheuerle. Excellent ability to adapt to the environment. More convenient and efficient operation performance. With higher core component configuration.